Only 4 Days Left to Join My Health and Wellness Company for $1 !! Are you still looking for the perfect work at home opportunity? Melaleuca is only offering memberships for just $1 for the next four days! Are you looking to make some extra income from home? Get healthy and go green? Know that your household items are safe to use? Especially for kids. There are so many products at Melaleuca and it’s so easy to convert the toxic regular store brand items you are using right now to Melaleuca’s. 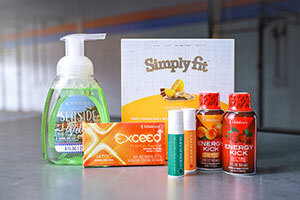 There are over 400 products that Melaleuca carries and sells. Plus you can get 7 FREE items just for joining this month! All new Preferred Members who enroll in June will receive a FREE Sights, Smells, and Taste of Summer Pack, valued at over $25, in their first active order! Contact me for more info or questions! You can also check out all Melaleuca has to offer here! Previous PostCBD Oil might be the answer to many of you and your loved ones ailments!Next PostRodan and Fields Skincare – Personal Review By A Consultant. Great Skincare For Many Types of Skin Issues!